Does anyone actually know what’s happening with Evil Morty on Rick and Morty? For a show with a dense mythology, the theories about Evil Morty's true identity are especially squanchy. You don’t have to look far to find Rick and Morty fan theories, and if you start digging into the corners of the Internet about the Rickest Rick and Mortiest Morty, you’ll find a community of people trying to figure out what’s going on with all of the different Morties, specifically Evil Morty. Thankfully, you don’t have to do much trolling to find the most interesting Evil Morty fan theory because the work’s already been done - you’re welcome. What you’re looking at is a compendium of fan theories about Evil Morty and what that yellow-shirted creep is up to. The most grand fan theory in the Rick and Morty-verse is that Evil Morty is the original Morty, long abandoned by Rick C-137 and left to grow callous and ruthless, but what happened to his family? And just what is Evil Morty's plan? Well, hold onto your butts because these fans think they have it figured out. Do you have a theory about Evil Morty that no one’s talking about yet? Then get schwifty and leave it in the comments. Boom. Mind-blower right up top. This theory, which posits that Evil Morty (the one with the eye-patch from "Close Rick-counters of the Rick Kind") is actually the first Morty - if there could be such a thing in a multi-verse. As you can imagine, there are a lot of moving parts to this theory. First, when Evil Morty is introduced, he's hanging out with the "Rickest Rick," which would make him the Mortiest Morty, but does that mean he's the original Morty? Maybe. It's not the most solid theory, but it's a start to discerning what part Evil Morty plays in this saga. The most interesting part of this theory concerns Evil Rick going through Regular Rick's memories, treating the audience to shots of Rick with a baby. The writers over at Vulture (and people on Reddit) surmise that if Rick disappeared twenty years ago, and the baby he is seen with is Morty, then the Morty that we're dealing with isn't the original Morty. Could Evil Morty be that baby? Did he turn evil because he was abandoned? Once again, the answer is a big, underlined MAYBE. Aren't all Morties sweet and a little weird? Not according to the Evil Morty fan theory, which will now be referred to as The Morty Theory. In The Morty Theory, the original Morty (who is Evil Morty) was raised by Rick, sans parents. That means no Jerry to instill crippling depression into him, and no Beth to provide a reference for what a stable adult looks like. Just Rick drilling in science, anger, and destruction. This lifestyle would have made the original Morty more resourceful, intelligent, and ruthless than the other Morties. It also could have led to a clash with his Rick and the duo split. It's a jump in logic to say what happened next, but it's likely that Morty decided on some kind of revenge plan, but why? Redditor smiggeries has a theory about who Evil Morty is, and it take a philosophical stab at the nature of Morties in every universe. The theory supposes that the idea of an Evil Morty is cyclical, and that there's not one definitive Evil Morty. The OP reminds readers that in the first season of the show, Rick said, "A cocky Morty can lead to some big problems. Can be a real bad thing for everybody." Was he saying that once a Morty grows to a specific age, or surpasses a specific IQ point, that he begins to quarrel with his Rick? It's possible that there have been multiple Evil Morties, that Rick has dealt with them, and that this is just one more Evil Morty in a line of Morties that has yet to be dealt with. 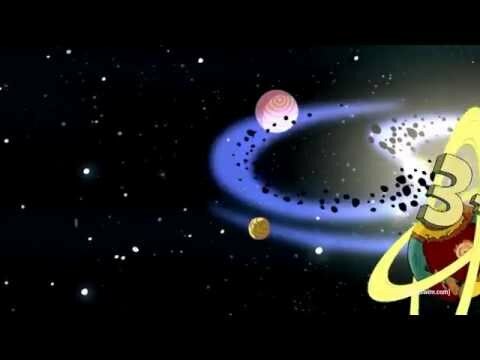 A very popular theory among Rick and Morty fans is that Evil Morty is the Morty viewers see being left on a mysterious planet in every intro. If you're having trouble remembering what happens, the video above may jog your memory. Many fans believe that because the intro cuts away before you actually see Morty being eaten by frog monsters, Morty somehow managed to survive, build his own portal gun, and enact his revenge on Rick. This is supported by Evil Morty using his cyborg eye-patch to make Evil Rick say: "If there's one truth to the universe, it's that Ricks don't care about Morties." Wouldn't you feel that way if your Rick left you on a planet to die?